the worlds. The expansion of Eurasian tribes occurred along the East-West axis – the world horizontal way. Today the cultural memory of people in the East and West finds itself in the theatre of new dramas of existence and new forces. With the advances in electronic technologies, the world movements seem to have sunk in the depth of the chthonian past to come up anew to the surface of fantastic speeds and momentary connections. A new type of planetary landscape-space relation appears, giving no place for West and East. RAPPAPORT, Alexander. West and East. 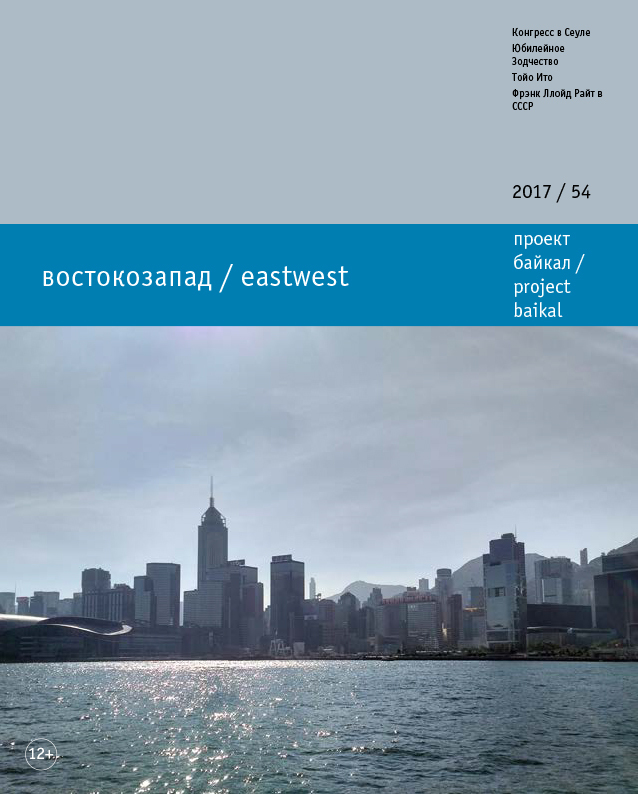 project baikal, Russian Federation, n. 54, p. 44-45, dec. 2017. ISSN 2309-3072. Available at: <http://www.projectbaikal.com/index.php/pb/article/view/1248>. Date accessed: 18 apr. 2019. doi: https://doi.org/10.7480/projectbaikal.54.1248.